Western Star Trucks Australia has announced it has partnered with V8 Supercar team Ford Performance Racing as the “Official Transporter” of the team, which includes the Bathurst 1000-winning Ford Pepsi Max Crew and The Bottle-O Racing Team. 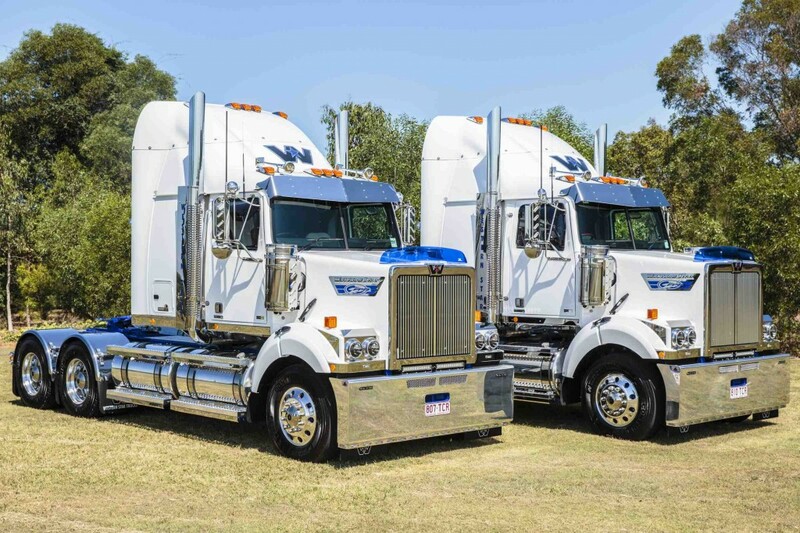 Two Western Star 4800FXB prime movers will have the task of transporting the team’s b-double trailers and over 100 tonnes of cars and equipment to race events around Australia. Western Star’s General Manager Marketing Don Hanson said Western Star is very pleased with the new partnership. Ford Performance Racing Team Principal, Tim Edwards, welcomed the partnership with Western Star. “Performance and power are two critical factors to success in motorsport and with Western Star we have both of these things in abundance so we are very happy with the new partnership,” Edwards said.